Bannon, the former executive chair of Breitbart, called a reporter with the magazine The American Prospect. In the wide-ranging interview, Bannon also said that his adversaries within the State, Defense and Treasury Departments are “wetting themselves” as he works to push them out of the administration. Bannon said he called the writer, Robert Kuttner, because the strategist agreed with a recent article explaining how China would benefit from the nuclear threats between the U.S. and North Korea. Bannon detailed his push to punish China with tougher trade sanctions -- and talked of plans to oust opponents of the move. "I’m changing out people at East Asian Defense; I’m getting hawks in. I’m getting Susan Thornton [acting head of East Asian and Pacific Affairs] out at State," the strategist said. Bannon's interview also covered North Korea. Despite Trump's claims of "fire and fury" against the regime, Bannon said "There's no military solution [to North Korea's nuclear threats], forget it." 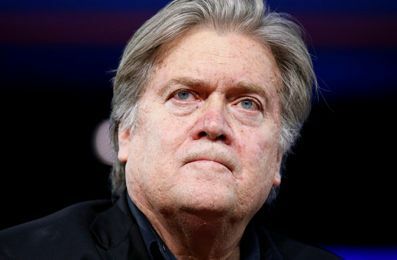 "Until someone solves the part of the equation that shows me that ten million people in Seoul don't die in the first 30 minutes from conventional weapons, I don't know what you're talking about, there's no military solution here, they got us," Bannon said. Bannon has been the target of speculation across the country about his future in the Trump administration. The adviser reportedly has become increasingly isolated within the White House as new members join the ranks, and The New York Times reported this week that Bannon had not personally met with President Trump for over a week. The same report said the president did speak with Bannon over the weekend as he tried to form a response to the violence that took place at a white supremacist rally in Charlottesville, Va.